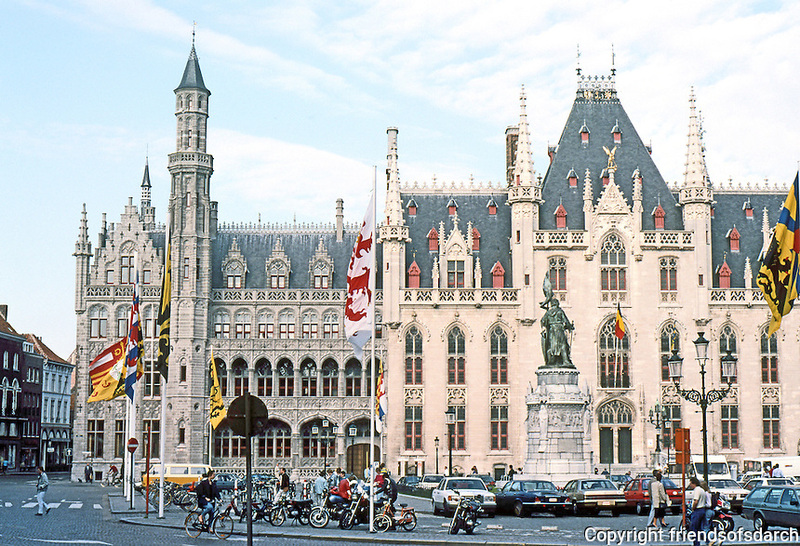 Bruges: Provincial Palace and Post Office, both 1887. East side of Markt. Photo '87.